Film School, turning plastic bottles into doves for the art installation Soar. In 2004, clean energy entrepreneur Allan Lim co-founded Alpha Biofuels, a business which converts waste cooking oil into biodiesels. But despite its success, Lim felt that something was missing in his work. So, in 2010, he started The Living! 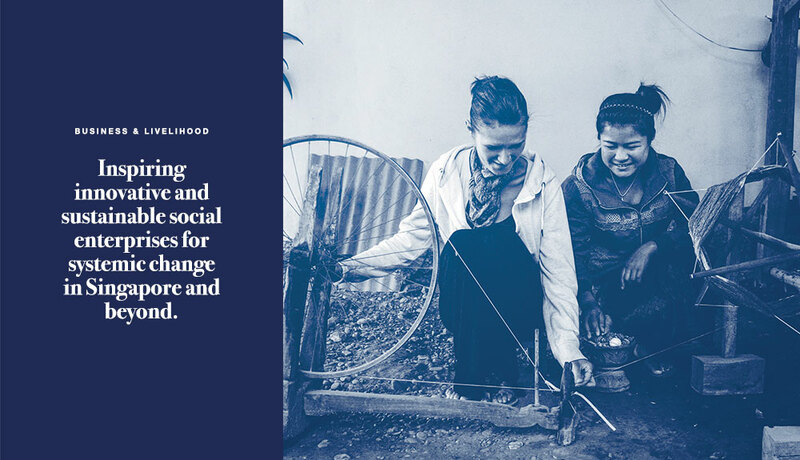 Project, a social enterprise that marries sustainability with community and art. The Living! 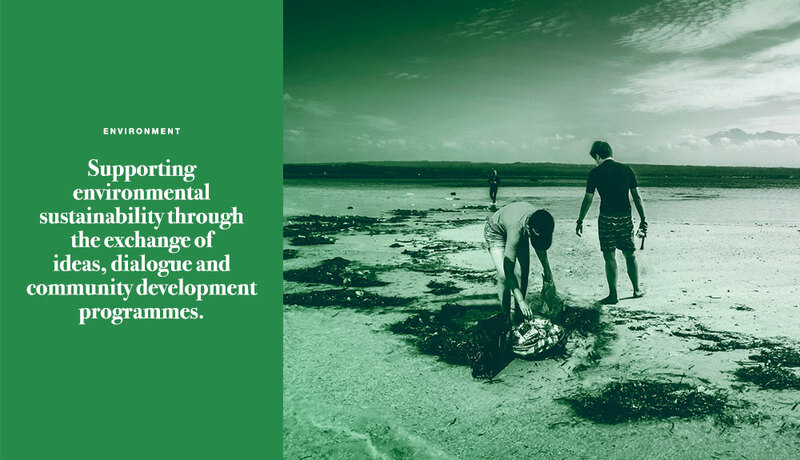 Project is a collective of artists, social innovators and designers that works with schools and other organisations to create art pieces out of recyclable materials. 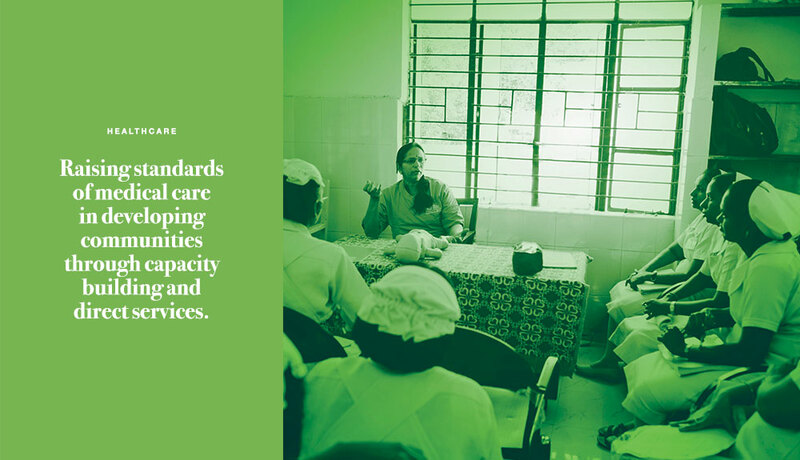 In this way, it aims to raise awareness of urban sustainability. In 2011, a year after it started, The Living! Project made its presence felt at France’s prestigious Festival of Lights, or Fete des Lumieres, in Lyon. Its debut artwork, an installation called In Celebration, was created by Singapore artist Sun Yu-li. He was assisted by youth with autism and mental disabilities, who had also travelled to France to share with special needs children there on how to make windmills from discarded bottles. The Living! Project became the first Asian artist collective to show at the famed festival, which features theatre performances, modern art and light shows, and draws crowds in the millions. The Living! Project returned to the festival in 2012 with The Wishing! Tree, a stunning 6m-tall light sculpture. Visitors penned their hopes and dreams on handmade wishing strips, after walking through a double spiral of flowers made from discarded plastic bags. The Wishing! Tree, jointly created by Singaporean artists and French special needs students, represented hope, light and friendship across all borders. Of the partnership between the special needs schools, Lim, 43, says: “Both years, the Singapore trainers engaged well with their French counterparts from the Premier Film School in Lyon. The Wishing! Tree received a greater response than anticipated. “We thought we would be happy if 5,000 visitors came. But we had 10,000 on the opening night alone and we ran out of strips for people to write their wishes on for the tree,” Lim recalls. 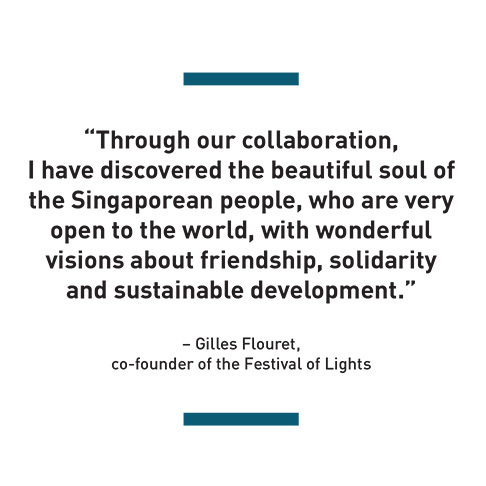 Gilles Flouret, co-founder of the Festival of Lights, says of working with Lim and the Singapore team: “Through our collaboration, I have discovered the beautiful soul of the Singaporean people, who are very open to the world, with wonderful visions about friendship, solidarity and sustainable development.” The Living! Project has continued to reach out to the community through the arts. Last year, it worked with 30 artists and about 6,000 volunteers and children with intellectual disabilities to create art installations celebrating the 28th Southeast Asian Games. Up next is a light display for the 2016 National Day Parade, which will bring together 60,000 Singaporeans, including students. It is also working with the Singapore International Foundation (SIF) to fly four Singapore artists to Shanghai later this year, to collaborate with Shanghainese artists on their vision of what it means to live in a sustainable city. 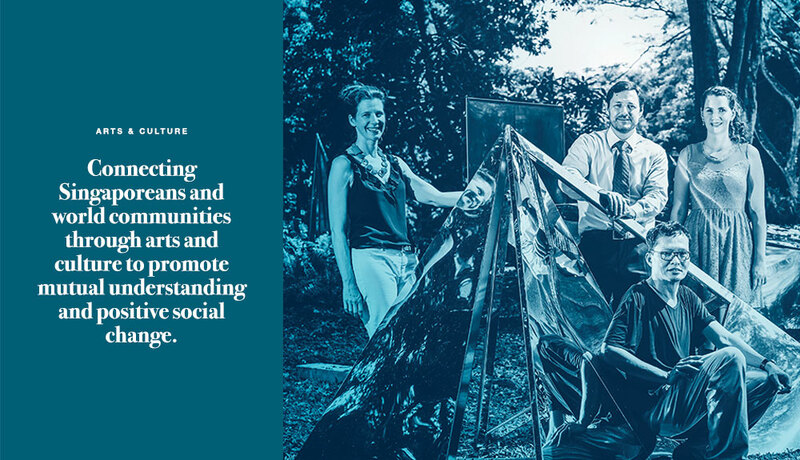 The trip is part of the SIF’s Arts for Good initiative, which brings Singaporeans and world communities together to raise awareness of social issues, share best practices in harnessing arts and culture for social change, and enable action for positive impact.